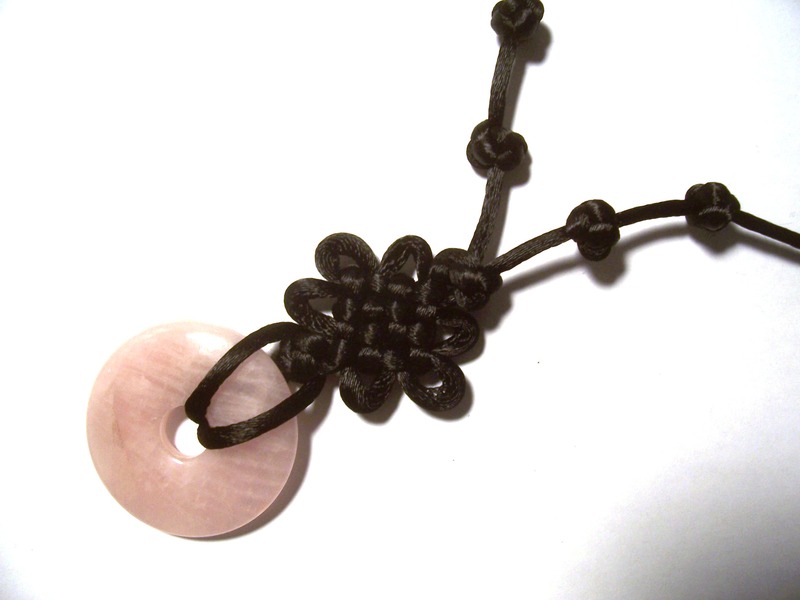 The Pan Chang, or Mystic Knot, is a traditional East Asian design which dates back thousands of years. 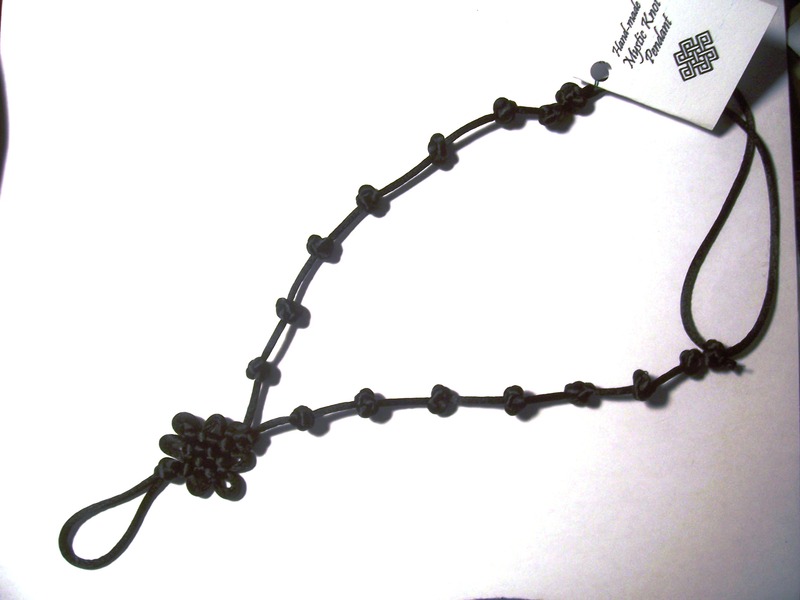 Considered one of the eight treasures of the Buddhist tradition, the Pan Chang Knot can be seen throughout Korea and mainland China. The looping, inter-woven pattern suggests the Buddhist concepts of the eternal and cyclical nature of life and the universe. 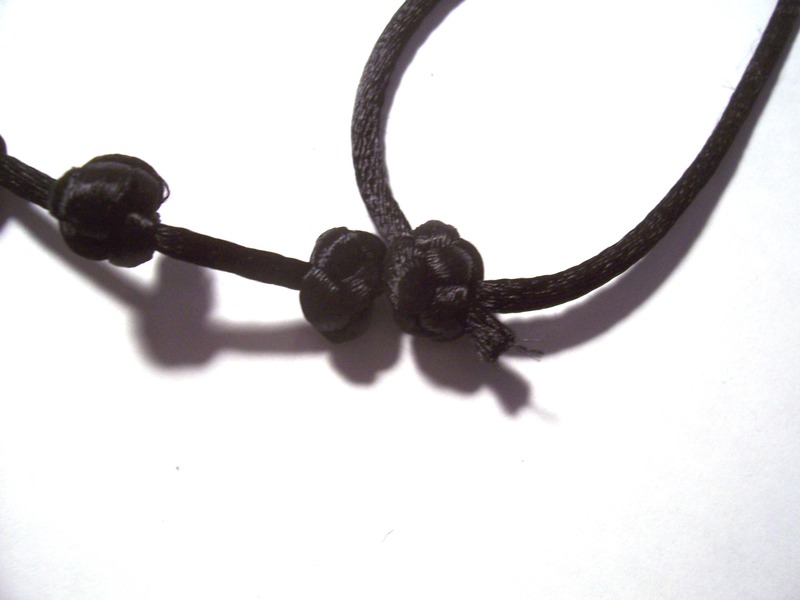 Considered extremely auspicious, the Pan Chang Knot is said to bring good luck to all who view it. I wanted to make a necklace which would allow one to wear the Mystic Knot over their heart. 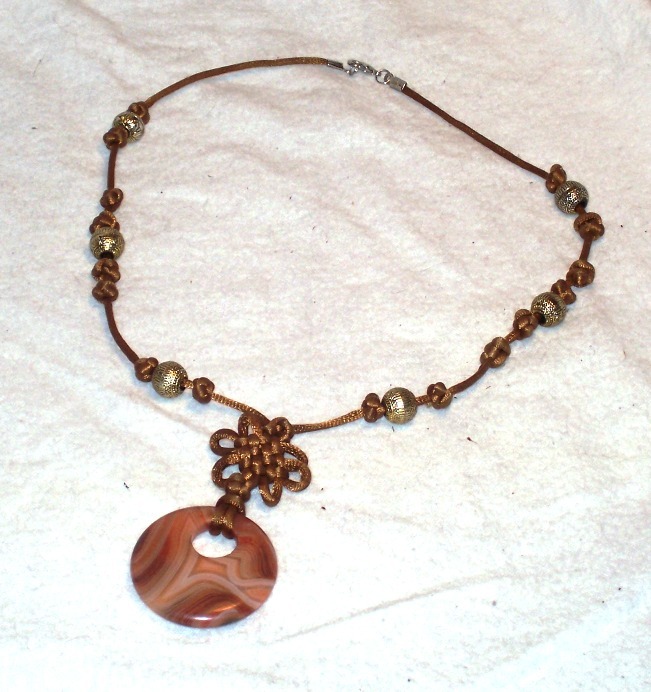 These necklaces are made entirely from 2mm Stin Cord (“Rat Tail”), and feature a four-row Pan Chang Knot with an enlarged bottom loop, which allows the wearer to interchange beads and accents and make the necklace pop. Each side features eight traditional Chinese button knots, representing the eight Buddhist treasures. For maximum versatility, I made a sliding button knot clasp, so that the necklace can easily be pulled on, adjusted, and removed. These necklaces are currently available in black and brown (not pictured) at The Desert Beckons, in Wheeling, WV. However, keep checking my Etsy shop, because these are slated for the shop floor soon! Here is another example in golden brown. Chinese button knots surround gold colored antiqued beads with a large red agate doughnut focal hanging from a 1 inch Pan Chang knot. This item is now for sale on Etsy! Check it out here!